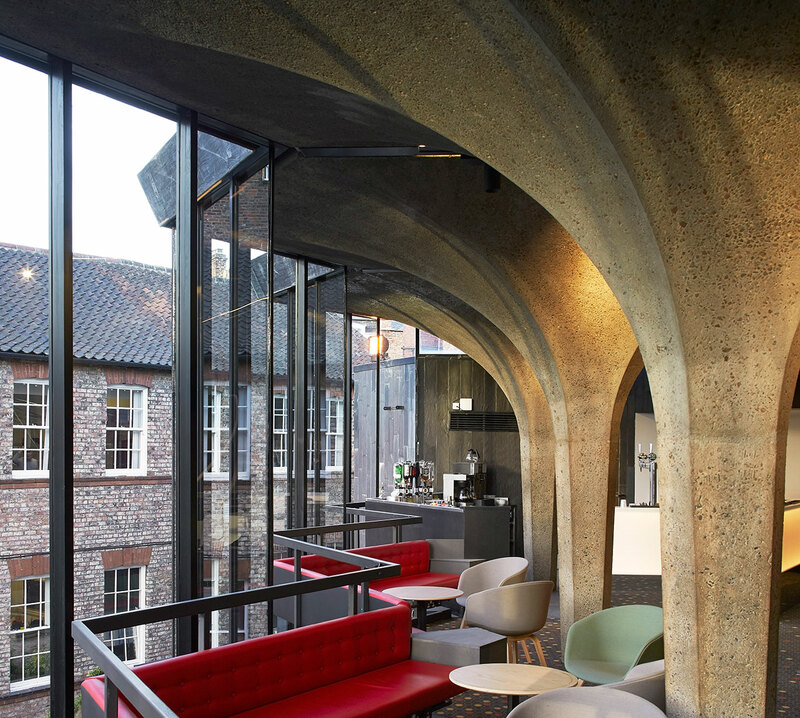 Photo by Hufton + Crow. 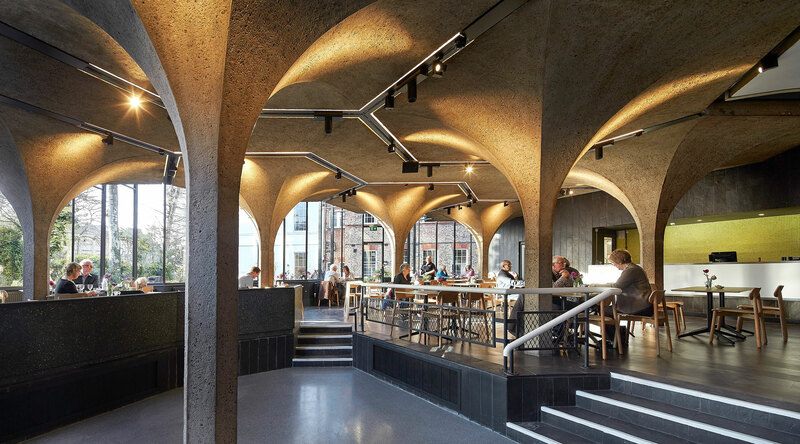 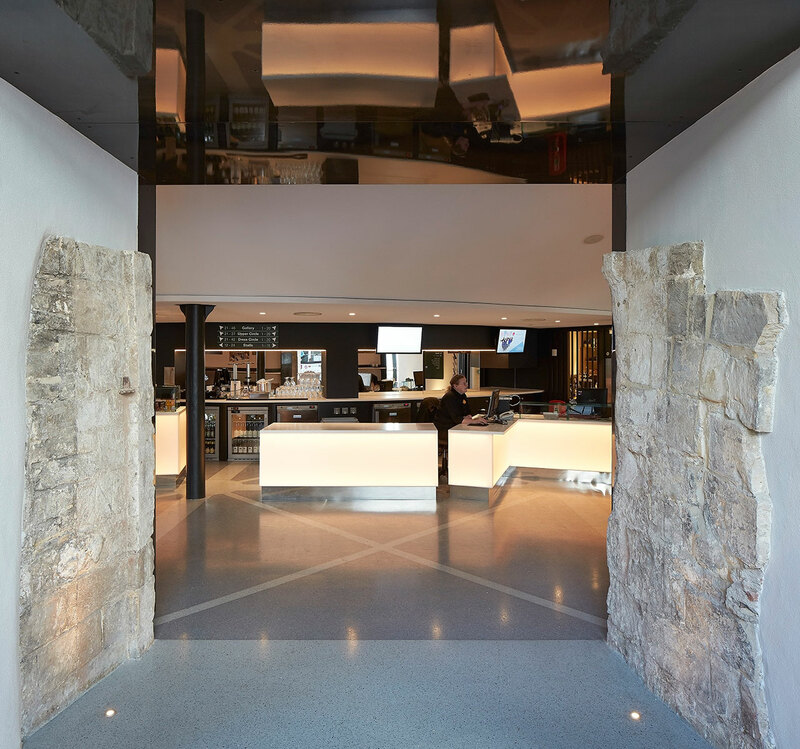 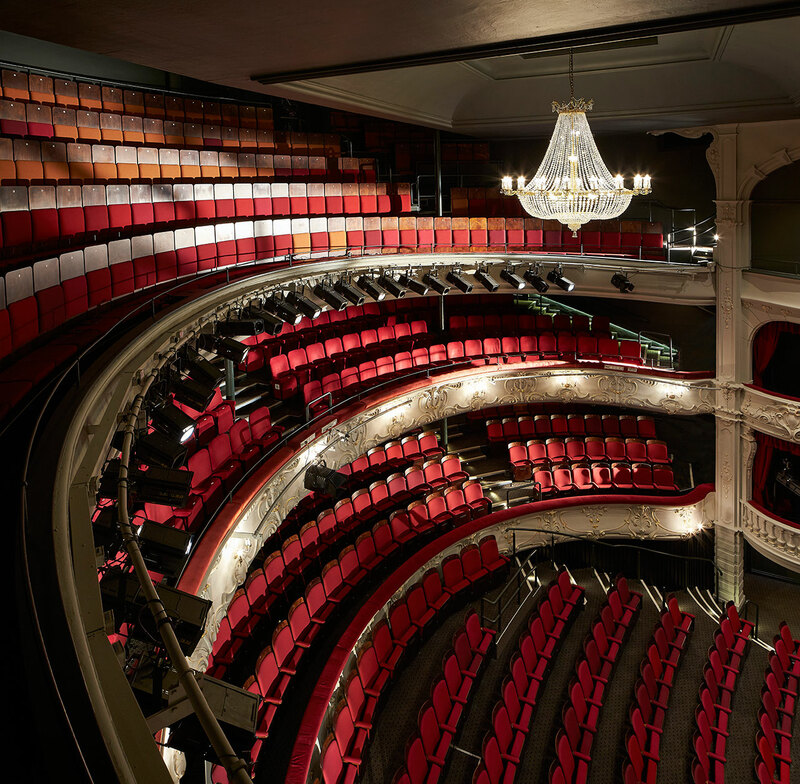 The York Theatre Royal in York, UK, has just reopened its doors after an impressive and complex redevelopment. 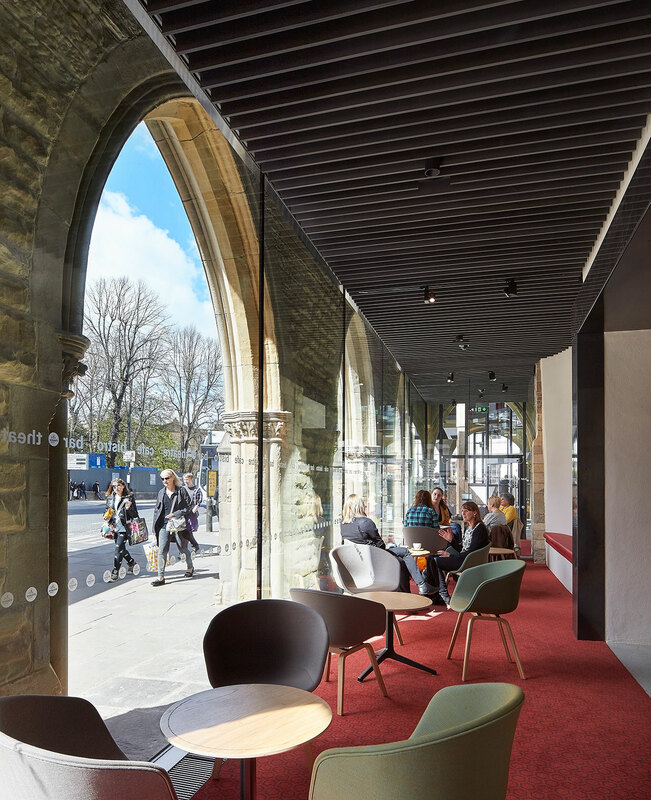 Originally constructed in 1744, the Grade II listed building has been given a complete overhaul which has not only breathed new life into the structure itself but, in doing so, has also embraced the citizens of its city since each element of the transformation was enacted with them in mind. 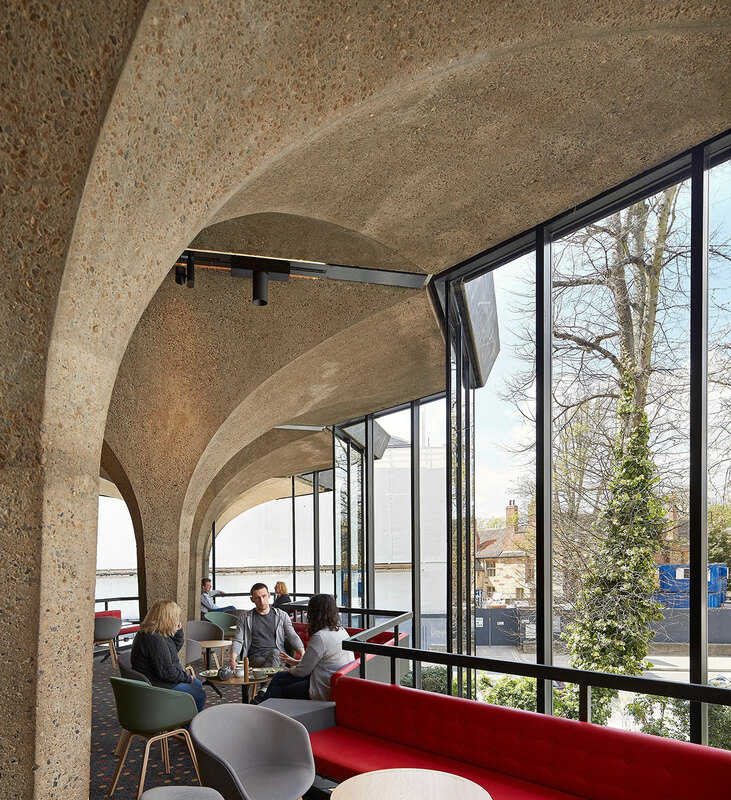 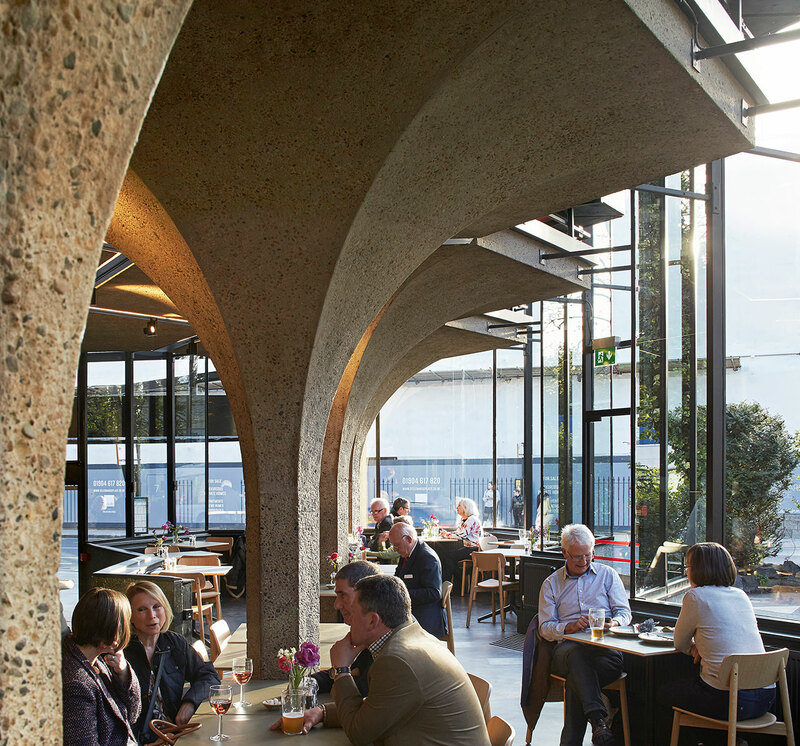 Fifty years ago, in 1967, the British modernist architect, Patrick Gwynne, saw to the addition of a vaulted concrete and glass-walled pavilion -- which was constructed beside the original 18th century building -- as well as a new foyer. 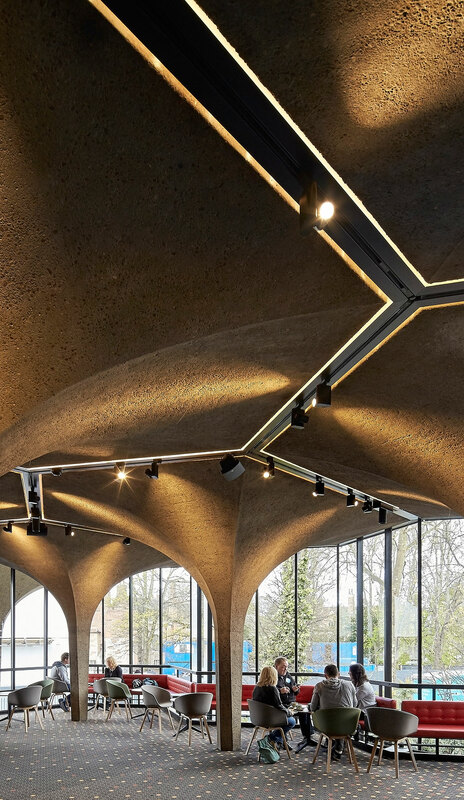 Today, the architecture firm of De Matos Ryan has advanced Gwynne's original vision, connecting the past and the present -- literally by connecting the pavilion to the 18th century structure -- and reorganizing each component so that the building's full potential can be reached. 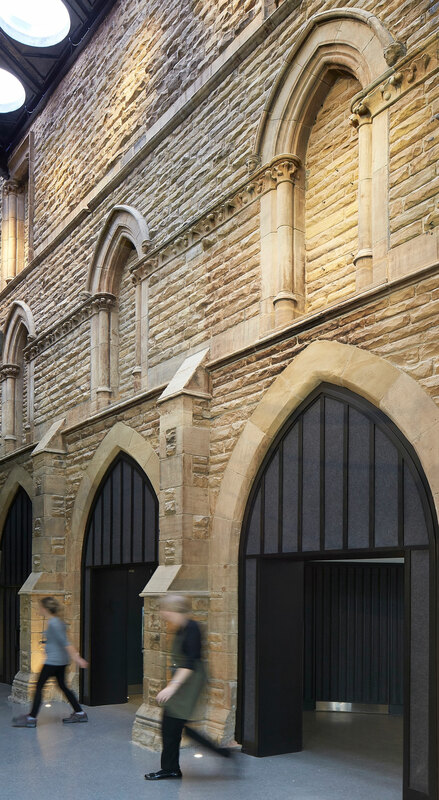 To start off, the elegant, Victorian colonnade on the street front has been glazed to dazzling effect and been given -- literally -- the "red carpet treatment" with the addition of none other than a glamorous red carpet, aimed at drawing pedestrians inside the welcoming Café and, by consequence, into the theatre itself. 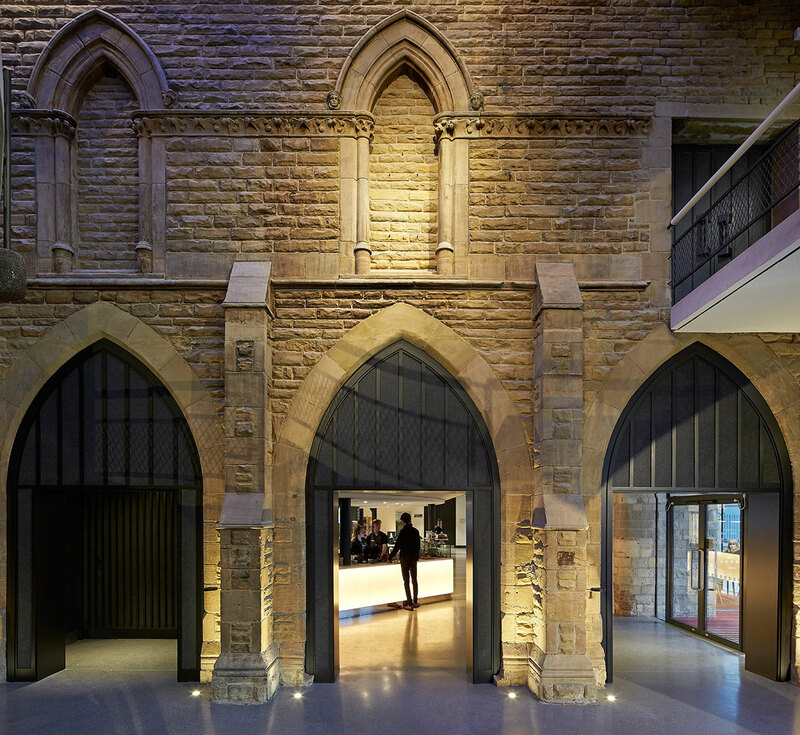 Patrons are then welcomed into the Front of the House through two new lobbied entrances (one of which was added to the Building's south side) and led into the new foyer space which was created below the Dress Circle. 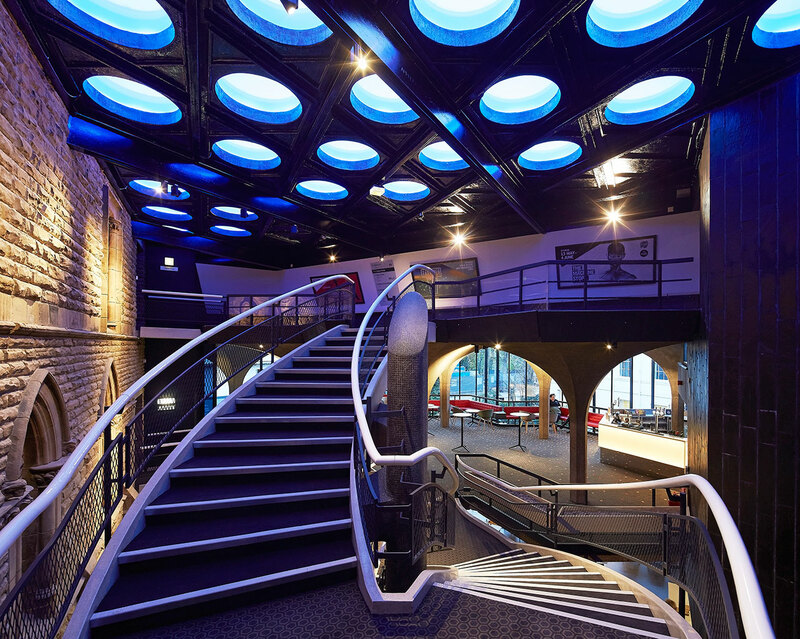 To note, the entrances as well as other elements of the redesign, such as step free access, varying counter levels at the box office and the installation of a lift between the Dress Circle and Theatre Bar on the first floor, were all installed in order to assist patrons with disabilities. 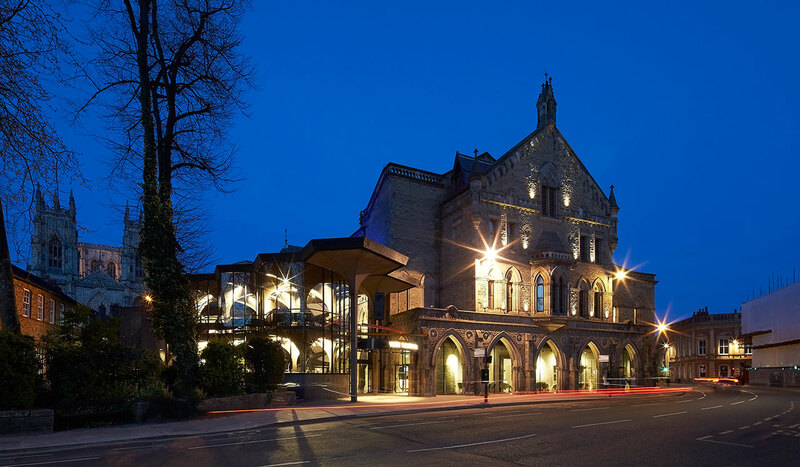 The York Theatre Royal has become the quintessential example of how the elegance and finesse of the Victorian and Regency era can beautifully coexist with the resourcefulness and practical applications of modern times. 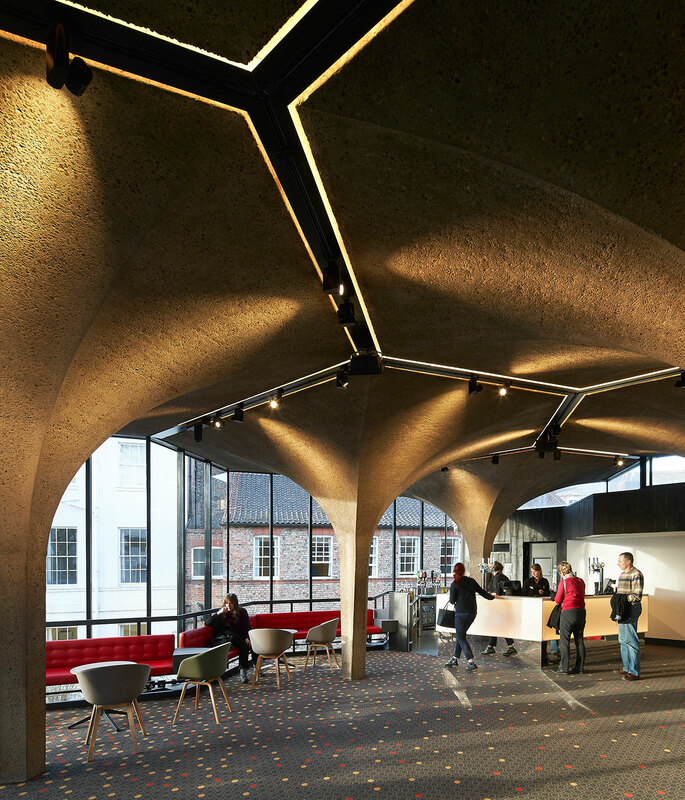 Other than the practical elements that had to be applied -- such as the installation of fully accessible WCs; new seating in the Stalls, Dress Circle and Gallery; as well as the re-working of the air-conditioning and sound insulation throughout -- design elements such as the new LED lighting features, grand wrapping staircase, geometrically-patterned terrazzo flooring and backlit Corian counters wrapping around the bar in the new foyer (a feature reminiscent of Gwynne's attempt to use Bakelite) are theatrical productions in themselves, all purposed to aid in enveloping patrons’ imaginations and preparing them for the show spectacles ahead. 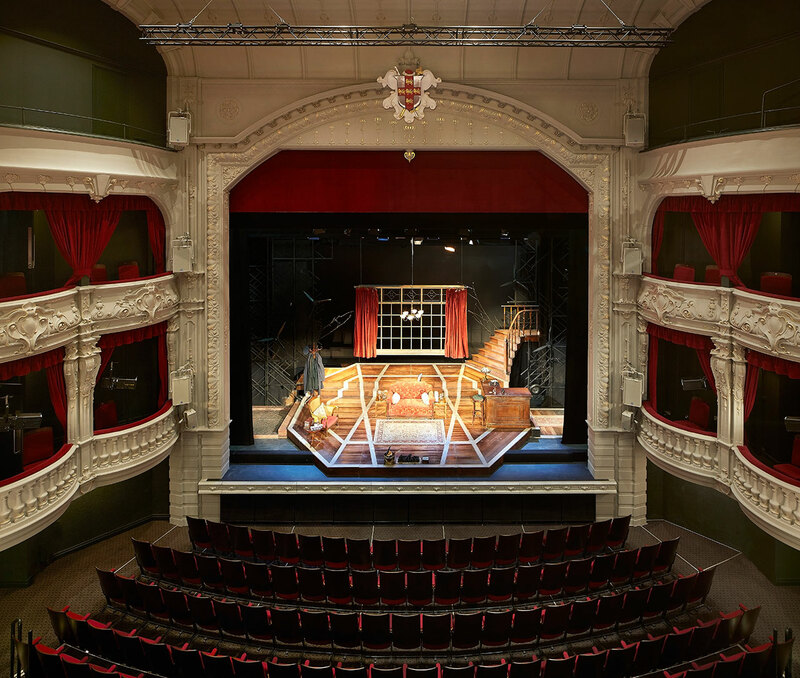 On that note, both the stage and orchestra pits were completely redesigned in order to easily accompany a greater scope of performances with superior and more inventive set designs. 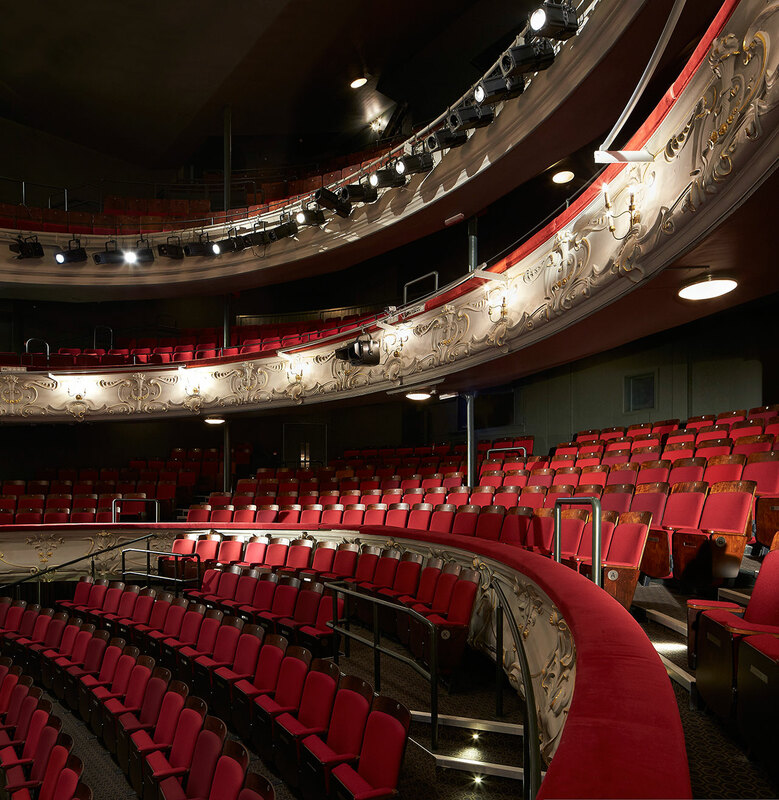 The York Theatre Royal has become the quintessential example of how the elegance and finesse of the Victorian and Regency era can beautifully coexist with the resourcefulness and practical applications of modern times, bridging the gap in the lives and imaginations of its patrons, all the way from the moment they enter through to the curtain call.